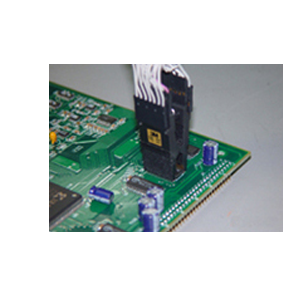 Test Clips are available for various types of DIP ICs like 8, 14, 16, 20, 24, 28, 40, 48 & 64. These can be supplied with or without connectors and cables for interfacing to Qmax Testers. Test Pins in the clips are gold plated and engineered for good contact with the Device Under Test. It is designed for long life and trouble free operation. For easy handling the clips are provided with metal covers. Test Clips to test ICs of SOIC Packages in the In-Circuit conditions are available readily with Qmax for various pin configurations like 8, 14, 16, 20, 24 & 28. These test clips are also gold plated and designed for proper contact and for repeated usage. Test clips are interfaced to the Qmax tester using FRC cable and Euro/FRC connectors. 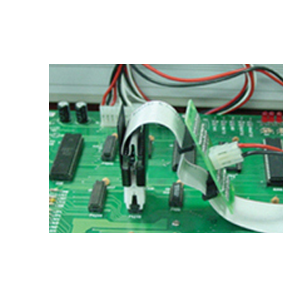 Test Clips to test ICs of PLCC Packages in the In-Circuit conditions are available readily with Qmax for various pin configurations like 20, 28, 32, 44, 52, 68 & 84. These test clips are also gold plated and designed for proper contact and for repeated usage. Test clips are interfaced to the Qmax tester using FRC cable and Euro connectors. The test clips have a unique locking mechanism to hold the Device Under Test (DUT) properly. Special Clips for Special type of devices. 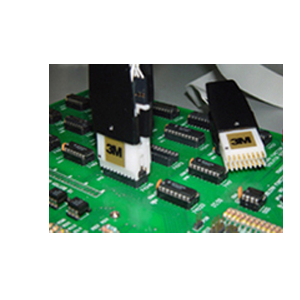 Properly identified IC Pins for easy and faster testing. Easy to Handle design for continuous operation. Suitable mainly for Rugged application with Gold plated and spring loaded pins. Pins are evenly spaced to match the component package suitably without any Misallignment for proper contact. 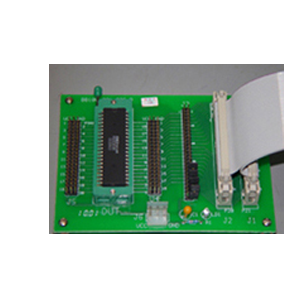 Qmax has developed various out board testers for DIP as well as several types of SMD packages including PQFP & PGA.Test adaptors are available for DIP, SOP, SSOP, SOJ, SOIC, PLCC, PQFP, PGA Packages. These can be easily interfaced with Qmax testers. All sockets are specially designed for proper holding of the Device Under Test (DUT) and for reliable performance. Exclusive universal type adaptors for testing the SOJ, SOIC and PLCC Packages with press type or Zero Insertion Force (ZIF) sockets are available to test wide variety of ICs using single adaptor meant for that type of package. 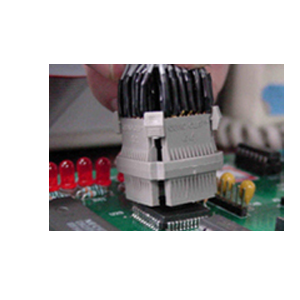 TTL and CMOS loads are supplied with the test adaptors to check the IC under loaded conditions. 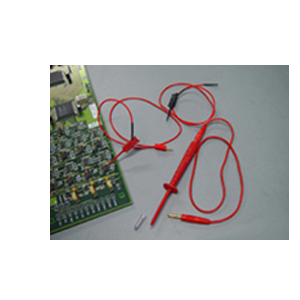 Qmax also offers useful accessories like micro grabbers, sharp needle Test probes, miniature Test leads, Board Under Test Power Cables etc. for effective troubleshooting.